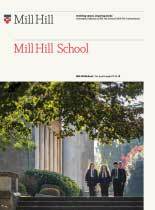 The Mill Hill School Foundation and its staff are committed to safeguarding the welfare and safety of children. This has long been recognised as a strength within our community, with pupils being supported throughout their school career in an environment that is both caring, supportive and understanding of the challenges of adolescence. There are seven Day Houses and four Boarding Houses in the School and the Housemasters/mistresses and House Parents, together with their teams of Tutors, aim to provide an environment that is both caring and supportive. The welfare of each pupil is supported throughout their school career by a Housemaster or Housemistress and tutor team who get to know them well and liaise closely with their families. We host regular lectures by external experts, for our young people and their parents alike, on a variety of topics affecting teenage life. Professional medical and counselling services are also on hand. In addition to the House system, pupils’ involvement is encouraged through the various School Councils. These Councils promote engagement across all year groups and meet regularly to discuss a wide variety of issues including catering, anti-bullying and mentoring and environmental issues. In light of recent reports around historic cases relating to the protection and welfare of young people at some other UK boarding schools, the Foundation wishes to reassure Parents, Guardians, Pupils and the wider community that we place the protection and welfare of young people at the heart of everything we do through our commitment to safeguarding standards at the highest level and the provision of strong, pastoral care from professionally trained staff. Mill Hill School is part of the Boarding Schools’ Association (BSA) and together with other members is doing more than ever before to keep young people safe and support BSA Commitment to Care Charter, click here to access the Charter.